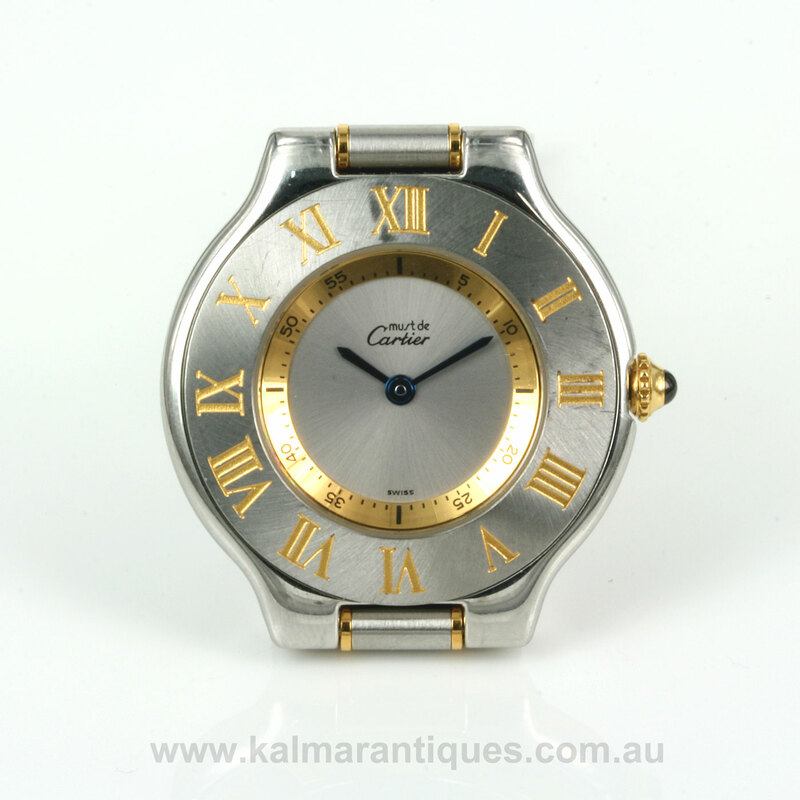 Product code: W379 Categories: Sold Items, Sold Watches. Cartier always produce such elegant watches and here is a very attractive ladies Must de Cartier 21 watch that is so comfortable to wear all the time. Made in stainless steel with 18ct gold the dial is so stylish with the gold coloured Roman numerals set against the stainless steel. Fitted with Cartiers iconic cabachon blue crown and fitted on the steel and gold band, this is one style of Cartier watch that will look so good day or night. 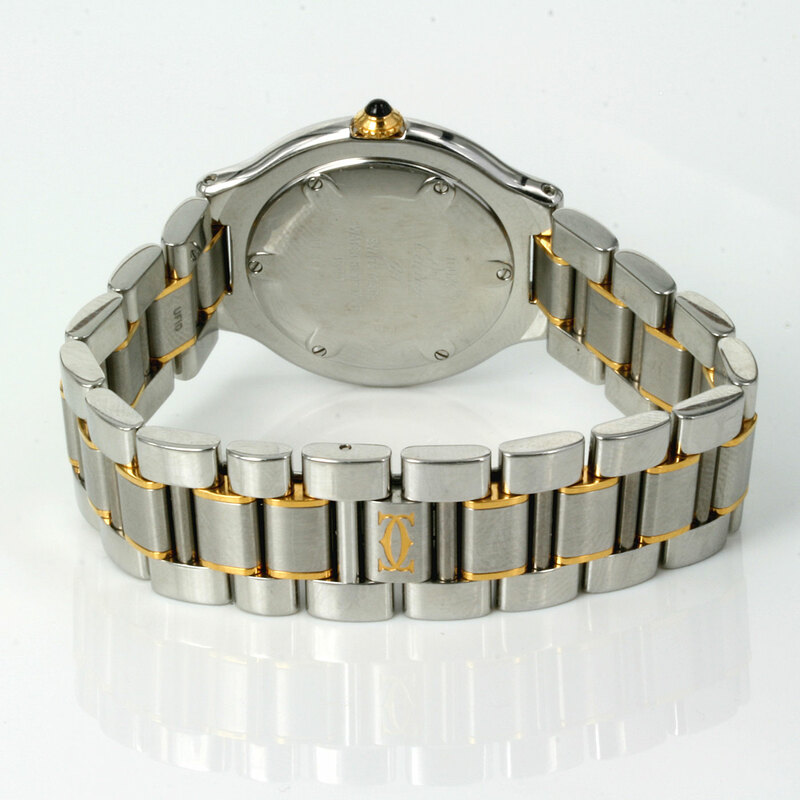 Measuring 31mm across plus the crown, inside is a Cartier quartz movement and comes with our 12 month warranty. 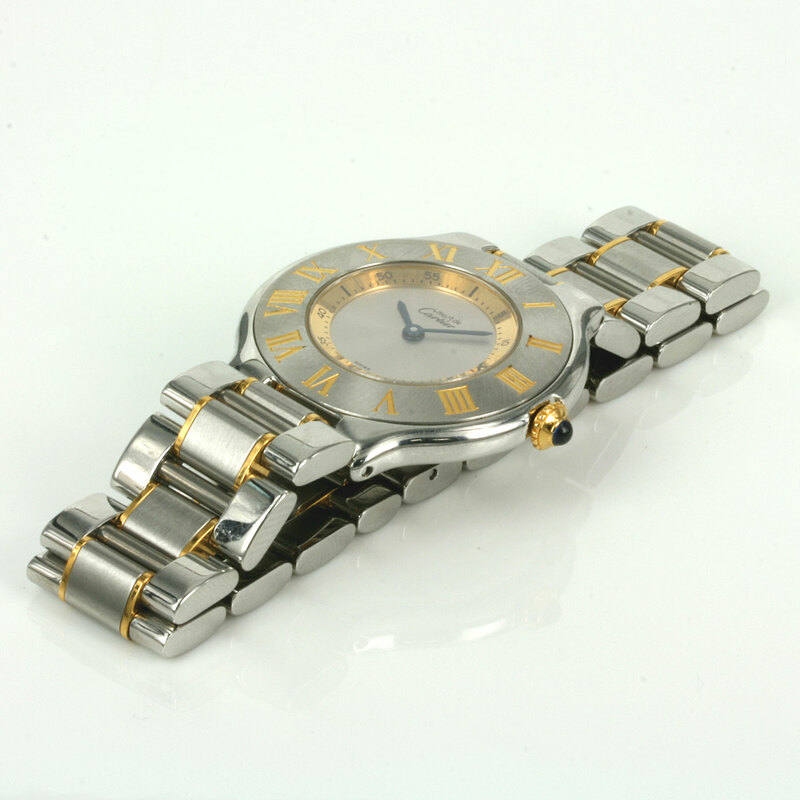 A very attractive Must de Cartier 21 watch for any lady for any occasion.